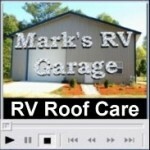 One of the most neglected areas on your RV is the roof, out of site out of mind. The problem is if you don’t keep the roof clean and inspect the roof seams on a regular basis you could end up with, expensive to repair, water damage. Most RVs built today use some type of rubber or vinyl roofing material. If you want to get a long life out of your RV roof here are some things you can do. Safety first! Be extremely careful whenever you are working on your RV roof. You can be seriously injured from a fall. You have to get on the roof of the RV to properly clean and inspect it for any damage or potential water leaks. Some RV roofs are more structurally sound than others. It may be necessary to use a couple 2X4 pieces of plywood or particle board to help distribute your weight between the roof rafters when on the roof. Regardless of the roofs structural integrity you need to walk lightly, and be careful. Rubber and vinyl roofing on an RV are great products, but like everything else without routine preventive maintenance it will not last as long as it could. First, there are different manufacturers of rubber and vinyl roofs. These different manufacturers provide different instructions for cleaning and maintaining their products. 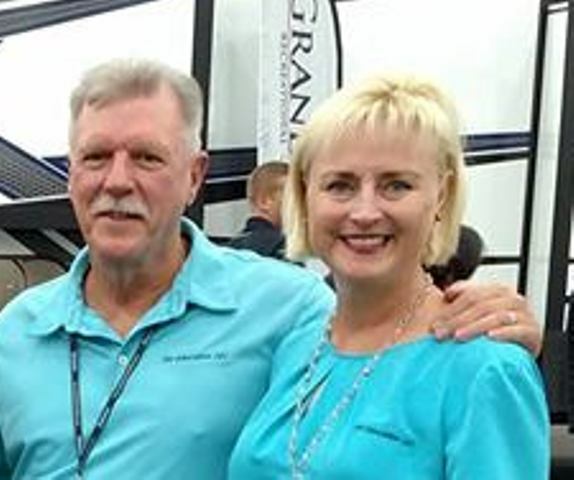 What we want to concentrate on today is what applies to the majority of rubber and vinyl roofing material used on RVs. Note: There are other types of RV roofing material used like fiberglass and aluminum. Read your roof manufacturer’s instructions for proper cleaning and sealing techniques to prevent damage to your roof and possibly void your warranty. Rubber and vinyl roofs should be cleaned and inspected several times a year and depending on where you park or store your RV it may need to be cleaned and inspected more often. Regardless of the type of rubber or vinyl roof you have, NEVER use any cleaners or conditioners that contain petroleum solvents, harsh abrasives, or citrus ingredients. These types of cleaners can cause permanent damage to rubber or vinyl surfaces. Most manufacturers of rubber roofs recommend you use a medium bristle brush and a non-abrasive cleaner. For light cleaning you can use warm water and a mild detergent like Dawn dish washing liquid. For more difficult cleaning, and to condition and protect the roof there are commercial cleaning products designed specifically for the roofing material your RV has. Hard to clean areas like stubborn stains caused by leaves, sap, mold or mildew may require a second treatment. Use caution to prevent the cleaners from getting on the sides of the RV. Always rinse the sides, front and back of your RV before and after rinsing the roof to prevent cleaners from streaking or damaging the finish on your RV sidewalls. Cleaning the roof is only part of maintaining it. Every time you clean the roof you need to inspect the sealants around all of the openings and the seams on the roof. Water will take the path of least resistance and if there is the smallest opening it will find it. You need to thoroughly inspect the roof sealants for potential leaks and reseal any areas of the roof seams and around openings where you suspect a leak. Note: Check with your RV dealer for sealants that are compatible with your roofing material. 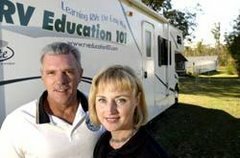 Our RV Care & Maintenance e-book is an easy to understand maintenance guide on what to check on your RV and how to check it.